I can’t say it enough, reporters are busy. Consistently on deadline, reporters can’t afford to read pitches that aren’t in line with what they’re working on at that very moment. Give it a day or two then give them a call as a quick FYI. If your pitch is as targeted as you thought, they’ll likely listen. Thick skin is a must in public relations. The majority of the time, you won’t hear back from reporters you pitched. If a reporter happens to send a gruff reply, remain cordial, or you can come away looking petty, the opposite of what you need when building relationships with reporters. Never set unrealistic expectations of the contributions you can provide just to hook the reporter. Failing to meet promises will lose their trust for good. It’s better to undersell and over deliver rather than risk alienating a reporter or publication long term because of undelivered expectations. 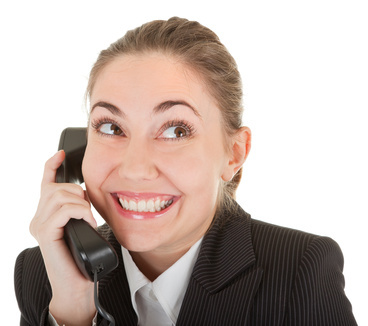 Don’t follow up with a call that repeats the pitch, and try to avoid asking the reporter if they received it. Instead, offer new and interesting insights that could pique the reporter’s interest. Whether it’s an extra set of statistics or an additional interview candidate, providing anything that can juice up the story gives your client a better chance at getting covered. Some reporters may hustle you off the phone when they’re on deadline, but others will offer insight on why they didn’t cover your story and what they may be more interested in instead. Use that knowledge to your advantage to create a more relevant pitch next time and thank the reporter for their insights. Overall, building a solid relationship with reporters should be the number one goal. Consistently providing relevant content, even if reporters don’t always include it in their stories goes a long way in strengthening relationships. With persistence, those same reporters that seemingly ignored pitches for months could begin reaching out to you, knowing you can provide solid sources and data for their stories.